Swinney said Clemson players were given banned drug "by mistake"
Some hot water for Dabo Swinney, and it comes after a national championship. Red flags went through Clemson University in South Carolina as three student-athletes were suspended from the Cotton Bowl versus Notre Dame on Dec. 29, 2018, for one of two College Football Playoff semifinal games, due to taking a banned substance via the NCAA. Ostarine, the performance-enhancing drug in question, was found positive in Dexter Lawrence, Braden Galloway and Zach Giella, who were three of fewer than 20 Clemson players that tested for the substance before the CFP – according to an article from The Post and Courier. 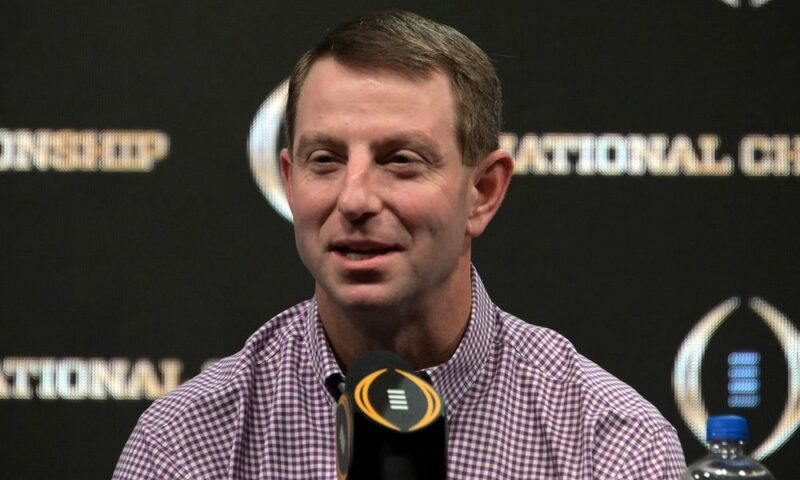 “Oh yeah, I mean, there’s a chance that it could have come from anything,” Swinney said when asked if it’s possible the players ingested ostarine in a Clemson-issued supplement or were exposed to in in some other way at the school. “They are going to test everything and look at everything. And that’s the problem. As you really look at this stuff, it could be a contaminant that came from anything, that was something that was cleared and not a problem, and all of a sudden, it becomes there was something.”- Excerpt from The Post and Courier article from Saturday. 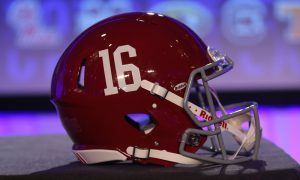 Fans of the Crimson Tide are running away with the idea of should Alabama get the ring after this piece of news; however, the bigger issue here is how can Swinney and Clemson not understand where the substance came from? 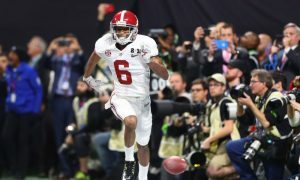 If this would have been Nick Saban and Alabama caught with PED’s, it would be a national story and media personalities along with rival fan bases would be calling for Saban’s head. To reflect back on the report, Swinney said that the school thought the substance was cleared by the NCAA – nonetheless, no one got a second opinion. In most cases, each program has to provide everything it offers student-athletes for a run through by the NCAA for security purposes. To see that almost 20 players tested positive for ostarine at Clemson means something was brought in that the coaching staff was not focused on. Per the U.S. Anti-Doping Agency, ostarine is the trademarked name for a Selective Androgen Receptor Modulator (SARM) that is not approved for human use or human consumption in the United States or in any other country. It is prohibited in all sports and though there are products that contain ostarine, they are the illegal ones. No legal medications contain the banned substance. With being stated, someone within the program either gave the student-athletes the substance without running it threw the NCAA or the players did not check themselves. Nowadays, athletes are very mindful about what they put in their bodies – especially those that want a long career. Should the Tigers win the appeal, Galloway and Giella will be eligible to return.